If you are a TechCrunch fan, you would be interested in making your blog looks like TechCrunch. And if you are on wordpress blogging platform then I must say you are lucky enough to grab a TechCrunch like wordpress theme for free! 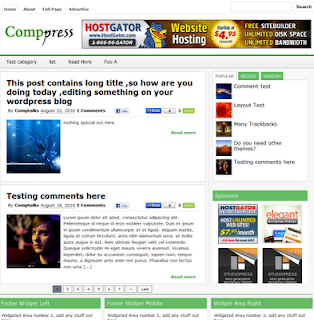 It’s called as CompPress released by CompTalks. Social Plugins – Tweetmeme, Facebook like and Google buzz. It cost only $0.00. Yeah, it’s free! Please pass your valuable feedback through commentsHave a nice day...!